The late General Ye Ting, a prominent military leader and one of the pioneers for the Chinese People's Liberation Army, had spent seven years living in Macao. 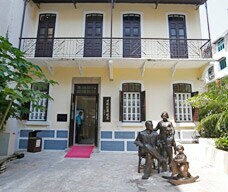 In commemoration of his significant role in China’s modern history, the Macao SAR Government has carried out a series of restoration projects on Ye’s former residence in Macao since 2006, raised bronze sculpture at the front yard and installed photo exhibitions in the mansion. General Ye Ting's Former Residence was officially opened to the public on 28 May 2014. The two-storey, western-style mansion occupies some 180 square meters together with its front yard. 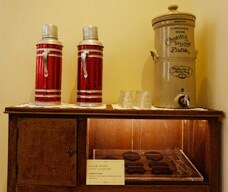 Entering the Former Residence, visitors can find the mansion furnished with numerous pieces of its original furniture and home decorations from the old days. 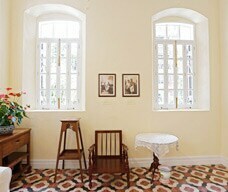 Housing a display of antique photos, General Ye Ting's Former Residence bears witness to Ye Ting’s life in Macao with his family in the bygone years.